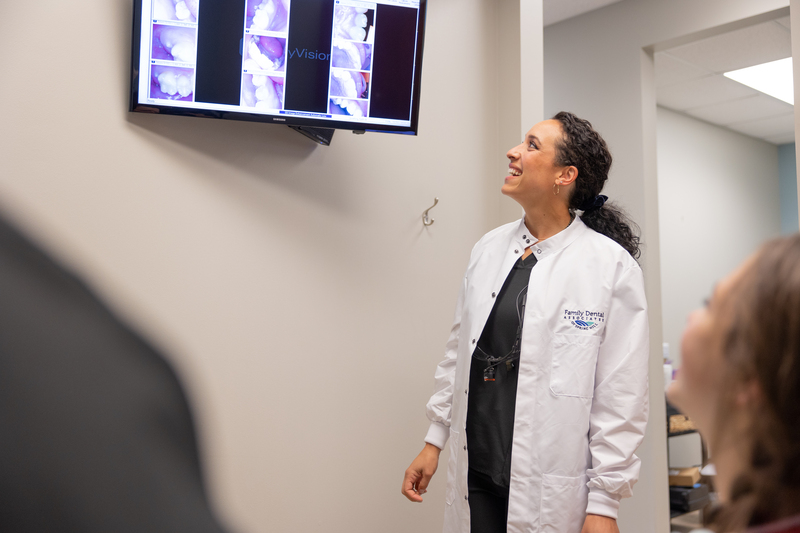 At Family Dental Associates, we strive to maintain the most up-to-date practice we can, and that means investing in the newest tools and technologies. The latest advancements in dentistry often allow us to treat you faster, keep you safer, and cause you less discomfort all at the same time. Below, you can learn about just some of the tools we use every day. We’re sure you’ll benefit from them at your next appointment, so contact us today to schedule it! X-rays have been an essential diagnostic tool in dentistry for decades, and with the invention of digital x-rays, they are even better than before. Our machine can create high-quality images much faster, and we can even instantly show them to you on a chairside monitor. Plus, unlike conventional x-rays, they don’t require harsh chemicals to be processed (which is much better for our environment), and they even emit up to 90% less radiation. This highly advanced scanner enables us to create a fully 3D model of your teeth as well as your jaw. Using this model, we can more precisely plan procedures to ensure better results and reduce your recovery time. Using this scanner is often the first step in placing dental implants, or performing a wisdom tooth extraction. With it, we can provide more personalized care and make your smile look even more beautiful. When getting crowns, bridges, or dentures, a patient often had to get an impression taken using dental putty. This experience was usually very uncomfortable, and it even caused some patients to gag. This is why we now offer the 3M Digital Impression System. It is able to create a fully 3D model of your bite without using cold, messy dental putty. Plus, the impression it takes is a much more accurate one, meaning any treatments we use it for will fit better, last longer, and be more comfortable.